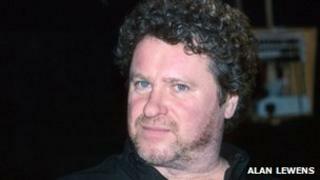 Comedian Rory McGrath has been arrested on suspicion of assaulting a couple. McGrath, who is also a writer, television panellist and presenter, grew up and went to school in Redruth, Cornwall. Police said a man and a woman reported being assaulted on Friday as they tried to assist a man "heavily in drink". A statement said a 57-year-old man from the Cambridge area was arrested on suspicion of common assault and actual bodily harm and later bailed. Police said officers were called to house in the Pool area at about 22:15 BST, following a report that a man had assaulted a male and female couple "who it is understood, were attempting to assist this man who was heavily in drink". "A man in his late 40s received a bloody nose and scratches to the face," the statement added.